is having a new year party . Me and Deepa are overwhelmed by your love and support on a very busy month. With Christmas and New year parties and shopping,it’s a wonder you had a chance to write and link up with us.But that’s the beauty of blogging. You can practically do it standing in your kitchen, waiting for the milK to boil. 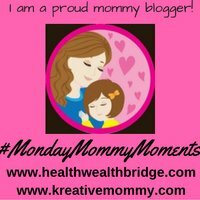 Throughout the month we had the opportunity of interacting with wonderful moms and bloggers ,who never forgot to write on the prompt. This new year we plan to introduce fun challenges ,to help you grow your blog. Workshops, webinars contests and much more . It all started with blogging so it’s the best platform to spread the joy.Stay tuned for a surprise announcement soon. The first two posts are host posts . She is a java developer ,fashion lover ,excellent cook a loving mom and a blogger. Yes Amrita, we moms are so pro in making budget by know that maximum calculations are done in mind only.Waiting for your fun challenges.